We’re living back to front. As technology marches inexorably forward, gaining speed at an exponential rate, it seems that the simple and the authentic have more value than ever before. The resurgence of vinyl is a great example of this, independent coffee shops and organic grocers too – and so is a certain type of boutique hotel. 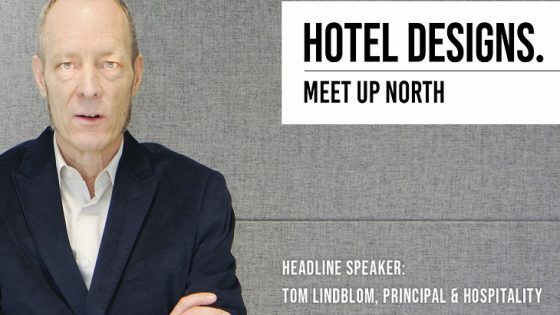 In order to understand what a night in the hotel room of the future might be like, it’s necessary to appreciate why many of the standout disruptors in the current market are looking backwards, hiding their high-tech flaunts and instead focussing on experiences and simply good service. Eccleston Square Hotel in London was the setting for my experiment in hotel room time travel. 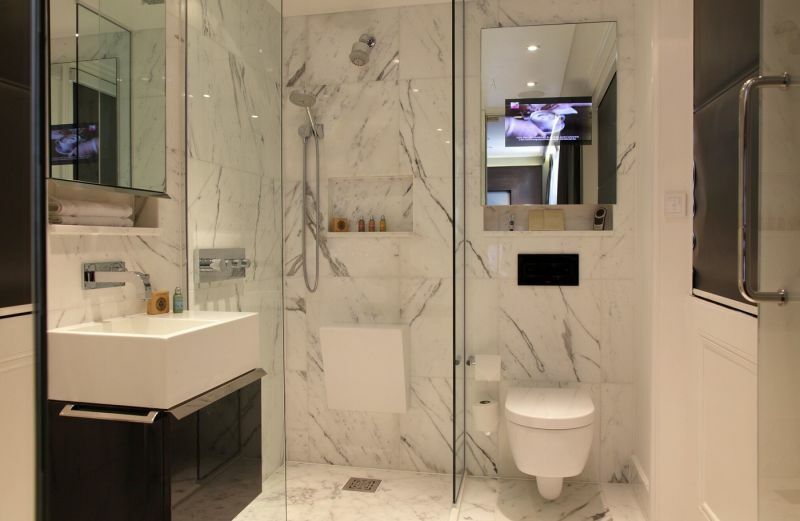 It’s a fine example of how well integrated smart technology can enhance a stay. Notable in-room features include LED clear-to-opaque glass in the bathroom, gestural lighting controls, a massaging bed and an improbably positioned outside/inside courtyard. All of these elements are design decisions that will have echoes in the rooms we will choose to book in the year 2049 (although few will have the Eccleston’s claim of being mere steps away from Winston Churchill’s front door). 30 years from now, the Artificial Intelligence (AI) that is currently the subject of deep moral conjecture will be commonplace. All retail, education, medicine, travel and data-centric areas of our lives will be handled by our personal Block-Chain driven A.Is. Much of our entertainment will be virtual visualisations; what we now call Augmented and Virtual Reality, immersive movies and games so convincing they’ll be indistinguishable from reality. It’s logical, therefore, to assume that when the mundane in life is handled by our personal A.I assistant and our persistent screen experience digital, we’ll seek out authenticity as an escape. The hotel room of the future will still rely heavily on technology, but it will be engineered for invisibility. 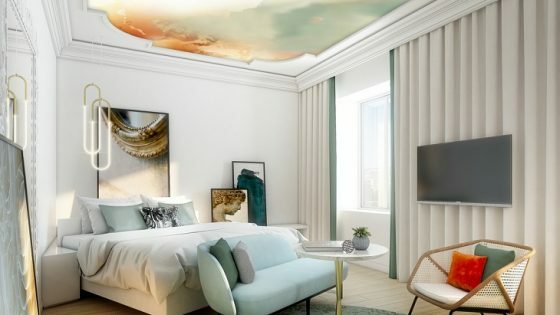 The down-lighters and wall switches that are currently in hotels will be replaced by neuro and mood interpreting imaging, ambient and natural light emulation, aimed at inducing calm and/or focus. Glass wall room dividers won’t just switch to opaque, they’ll transform into shimmering living jungle walls or expansive movie screens or personalised news feeds created by holographic projection. Think Minority Report, but without the need for gloves. In order to get a handle on all this future gazing, it’s sometimes helpful to have tangible examples to hand. The recently launched Magic Leap mixed reality headset offers insight into how a futuristic hotel room could be brought or augmented with ultra-high definition virtual assets. By 2049, several exponential leaps up the curve, the headset might be unnecessary, imaging handled by a projector and a glass room divider infused with highly refractive silver particles. That’s entertainment, but what about the health and wellness opportunities offered by the hotel room of the next decade? Astectherm is an example of an advanced technology that predicts the kind of hybrid between practical and health orientated benefits that might find itself in the guestroom in 10 years from now. I was able to install a working sample of this thin, flexible infrared thermal heating fabric between the electrically operated curtains during my Eccleston Square Hotel stay. More usually, lengths of Astectherm would be installed in walls or under floor and ceilings. Beyond just heating, far infrared light offers all manner of health benefits including immune system support, helping to alleviate stress, psoriasis and relieving joint and muscle pain. This system is an excellent example of an invisible technology that could offer in-room, spa-like health and wellness advantages for the future hotel room user checking in. Hyper-personalisation will drive much high-end retail and leisure experiences in the future. The 3D printers that are still mainly the preserve of industry today will perhaps print bespoke, nutritionally focused meals in the kitchens of tomorrow. In order to compete, a morning in an Eccelston Square Hotel room circa 2049 will, for example, have to offer a high-end personalised breakfast and coffee experience. To give a sense of where our future caffeine fixes might come from, I tested the Ikawa Personal Coffee roaster in my room. As well as infusing the suite with a gorgeous aroma of freshly roasted green coffee beans, the tiny app-controlled machine offers concrete insight into the quick, delicious and bespoke snacks and meals we will come to expect in the near-future. 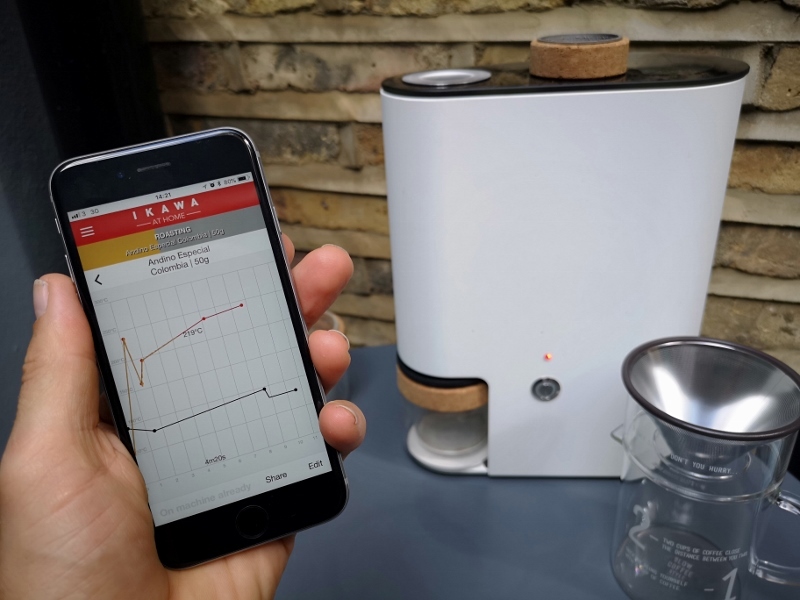 In future in-room coffee machines, the ingredients will be determined by a stool and urine analysing toilet and other health monitoring wearables. If your morning bathroom routine flags a rise in your inflammatory markers, you might find turmeric in your freshly-roasted, non-dairy latte. While we currently have the Apple Watch, in the future we’ll see far more discrete wearables, which will offer a much deeper insight into our general wellness. Take sleep for example, a critical part of any hotel room experience. At the moment, Some hotels offer a vague ‘good night guarantee’ based on little more than firm pillows. Eccleston Square Hotel already takes its bedtime more seriously than most, but as well as a mood lighting and an electronically adjustable bed, in 10 years time its beds might map guests’ REM and movement signatures. They high-tech beds might compare them to a block-chain powered pattern from thousands of my previous nights’ sleep, cross-referenced with a range of biological and psychological markers, blood sugar readings from bathroom analysis and wearables and even neurological data. 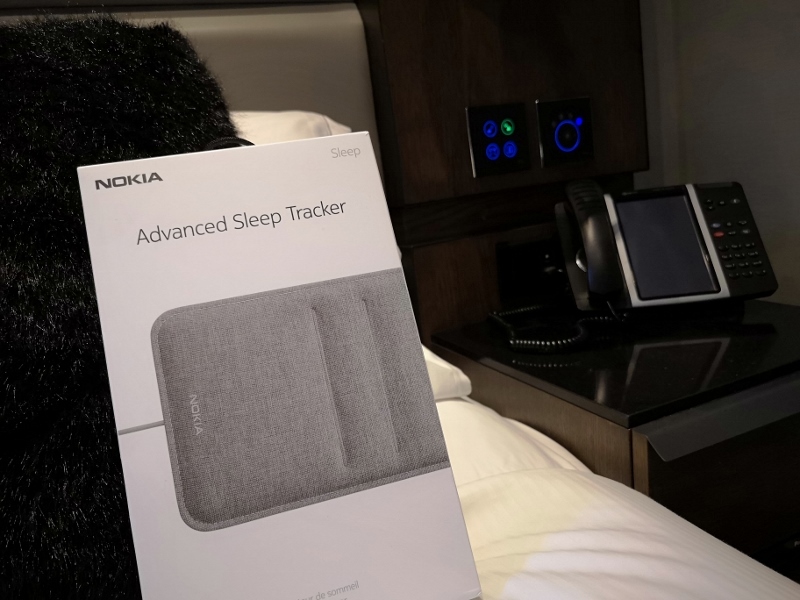 And if this is all sounding a little too Sci-Fi, I took the liberty of installing a Nokia Smart Sleep sensor in my Eccleston Square hotel bed. Perhaps it was exhaustion from setting up all the gadgets- or the massage – but the app data showed a high ‘Sleep Quality’ score of 90 per cent, only twenty seconds of snoring and a longer period of ‘deep sleep’ than on previous nights at home testing it. This level of detail, while insightful today will seem laughably trivial in ten years, but again, Nokia’s gadget is a fine example of where we’re heading. 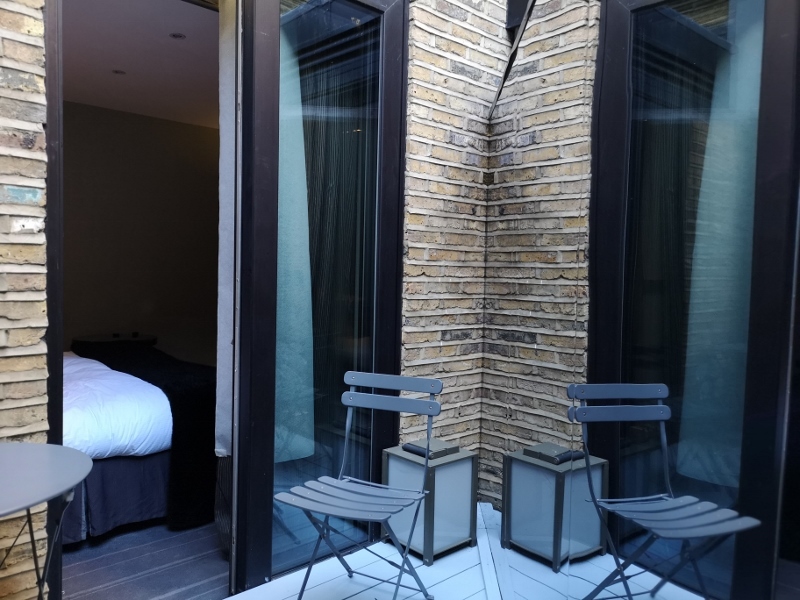 The Eccleston Square Hotel has several rooms with distinctive private outdoor spaces. It achieves this by cleverly slicing up what would be larger areas and then giving each outdoor triangle the perception of space with large mirrored walls. This is another precursor to a future trend; the use of spacial sensory imaging, both auditory and visual, to create outdoor experiences, but on a considerably smaller scale. Looking beyond 2049 and it’s not implausible to imagine something like a Star Trek holodeck that transforms a tiny 24m² courtyard into an infinite forest in which you can jog by virtue of a 360° treadmill. It’s a contradiction for sure, but technology will deliver what the hotel guest of the future will desire most, authenticity. The design ethos, eco and energy awareness, food and customer service expectations of the discerning hotel guest a decade hence will still be central to their choice. 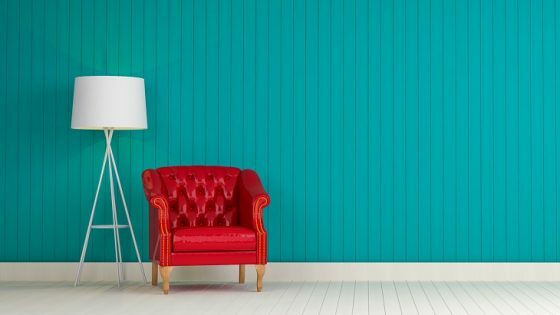 What will change is the availability of bespoke, luxury personalised services, many of which will have echoes of a bygone age, a time when the gadgets that distract us today hadn’t been invented. Of course there will be no obvious gadgets in the hotel room of the future, just ‘real’ services and experiences. And when reality can’t be delivered, we’ll be happy to accept the perception of it. 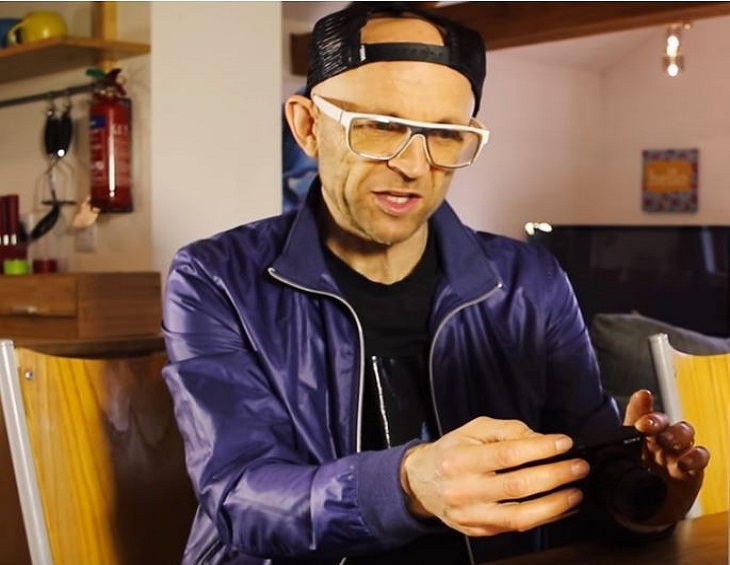 Jason Bradbury can booked for futurology talks at jla.co.uk and found on YouTube & Instagram. Thanks also to the lovely staff at Eccleston Square Hotel.